I am so excited to welcome Christine from No Gojis, No Glory. I had the opportunity to work with Christine over the summer and I always love her healthy take on food. She is also a fellow New Yorker so I have a soft spot for her just because of that as well. Be sure to stop by and say hi! As well as check out Cupcakes & Kale Chips for some Healthy Desserts or Love Bakes Good Cakes for some Healthy Meal Ideas for our #EatHealthy15 Series. Hi guys! I’m Christine from the blog No Gojis, No Glory, and I’m thrilled to be hanging out with you today. Today, we’re talking snacks…healthy snacks to be exact. Full disclosure – I’m kind of terrible at snacking. I’m the person who eats three meals and calls it a day, which is soooo bad…I know. But taking the time to slow down and remember to snack is so hard when juggling a million things. But a new year means we all have new opportunities for improvement, right? And with the #EatHealthy15 series, we’re making it so easy for you guys to step it up and make this year your strongest yet in your healthy lifestyle journey. That being said, I’m sharing with you one of my go-to snacks when I do decide to whip up something – crispbread with healthy toppings. I really love this snack because it’s so easy, delicious and quick to throw together; not to mention the topping ideas are endless. I was first introduced to this way of snacking when I lived in Sweden. Never had I ever considered a thin piece of hard bread and some random toppings as an ideal snack. And going straight from Hawaii where thick, flavorful breads are in abundance, to a place like Sweden where they apparently wanted to feed me something resembling tree bark…let’s just say the transition was an interesting experience. The first time my husband offered me a piece, I half jokingly asked, “Where’s the rest of it?”. But when it comes down to it, my time there taught me a thing or to about enjoying healthy, uncomplicated ingredients in their purest forms. 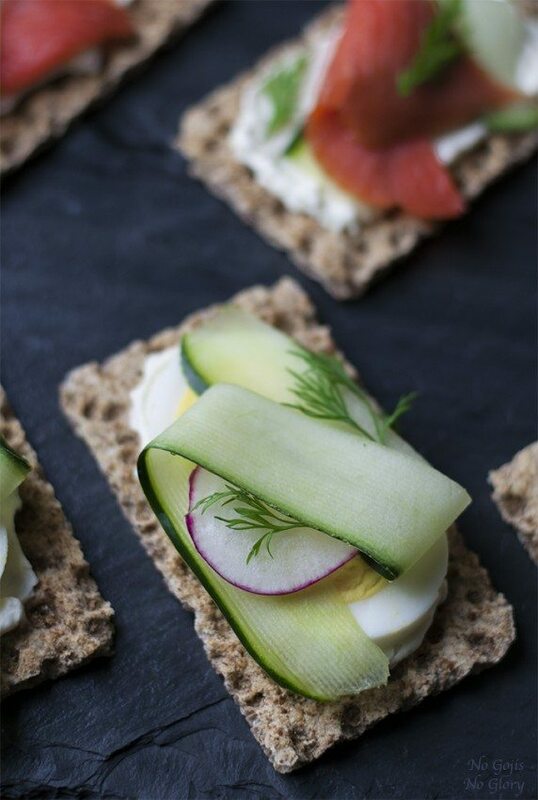 My two favorite toppings for crispbread is smoked salmon, and cucumber with egg. They really do make the perfect snack. Crispbreads are clearly a better choice if you’re watching carbs, plus there are a ton of variations available, which normally include a good amount of fiber and whole grains. 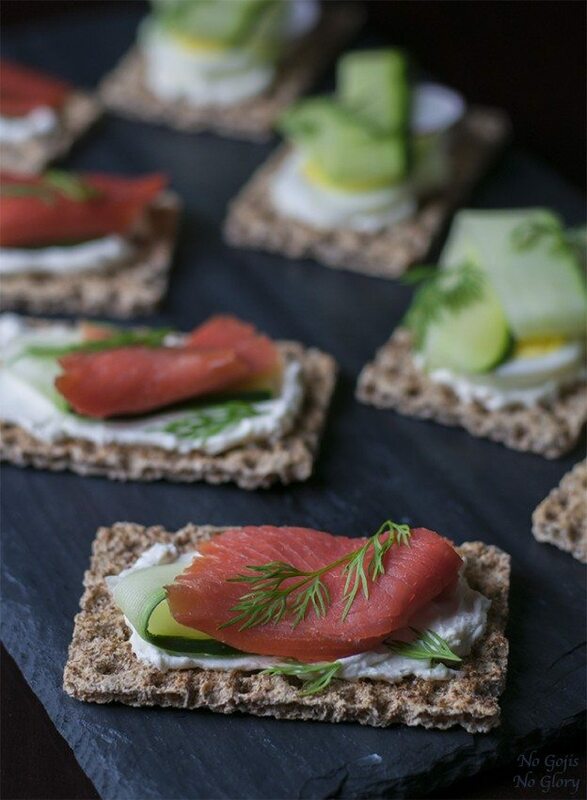 Smoked salmon offers a rich woody flavor, a blast of quality proteins, and omega 3 fatty acids. And you are aware of the beauty benefits, right? Cheese, cucumber and egg offer a meat-free version that is protein and nutrient packed. Combine cream cheese with lemon juice and mix well. Salt to taste. 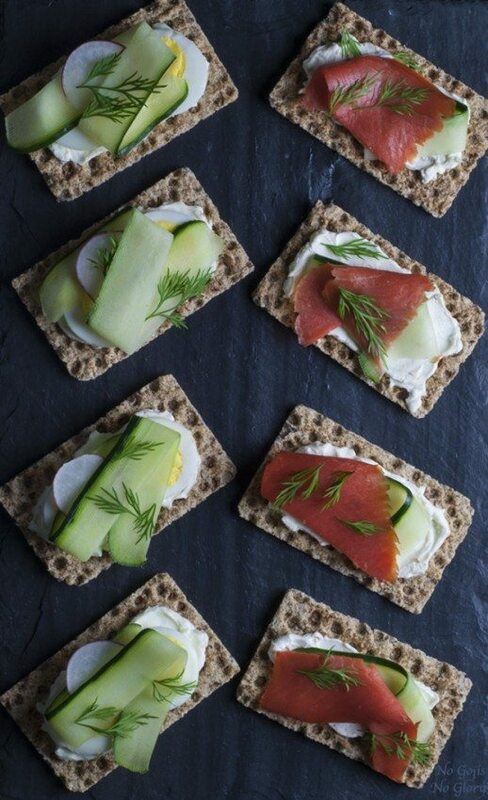 Spread each crispbread with 1 tablespoon of cream cheese. I hope you enjoy the snack! And if you’re looking for a healthy way to round out the day? 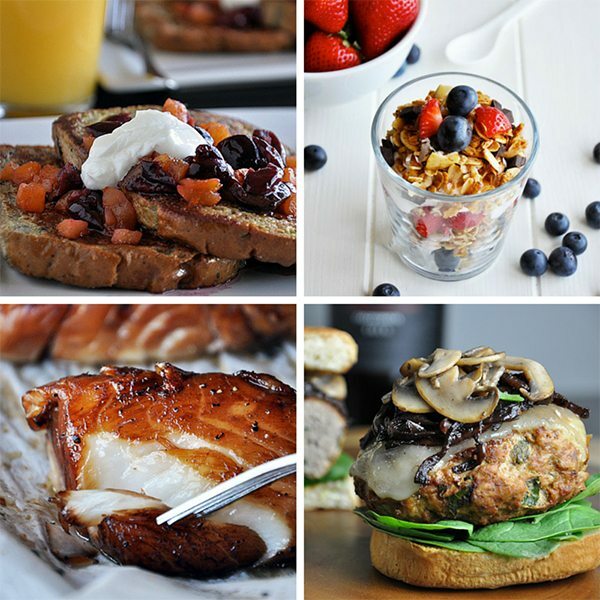 Check out a few of my favorite breakfast and dinner recipes on No Gojis, No Glory. Christine is the creator and author of No Gojis, No Glory, a blog focused on healthy food, recipes and wellness. When not exploring the streets of NYC, you can probably find her in the kitchen concocting her next healthy recipe, or on the hunt for her next fitness adventure.